The wide spread and massive protest is legitimate because imposing a ban on a cultural form is undemocratic and authoritarian and not the right way to bring change in a free society. A truly transformative and lasting change can come only through reflection and questioning, dialogue, debate and discussion, leading to understanding, synthesis and consensus. This article is an invitation to such a reflection and debate. Jallikkattu is a popular form of the culture of Tamil Nadu. We can find some form of bullfighting in many cultures, for example, the famous Spanish bullfighting. When we look at Jallokkattu in its present form we see a lone frightened bull chased and surrounded by a large mass of men trying to hold on to its horns, and the animal trampling on them, injuring many, some of them dying. We don’t know exactly what is the original form of the sport or the idea behind it. In ancient patriarchal communities, where agriculture is the main form of livelihood, this form of sports was conceived probably as a display of heroic manhood or masculine strength or in more spiritually awakened communities, some inwardly advanced leaders might have conceived it as a symbolic sport representing inner struggle and conquest over the animal impulses of our lower nature. Those who are practicing some form of spiritual discipline and making a conscious effort to overcome the ferocious impulses or the obstinate hostilities and resistances of their lower nature can feel the inner resemblance. In the old forms of the sport, it seems to be one man wrestling with a bull. When we look at the images of the old forms of the Spanish sport, we see a man confronting the bull with a cloth, which means it was more a game of skill and tact where the man subdues the beast not by brute strength but by playing with it tactfully and exhausting it. We can see something similar in a story on how Alexander tamed a wild horse. The aggressive steed tramples down all other strong men who try to tame the beast by their muscular strength. When the young Alexander enters in to the arena, every one wonders what this young boy can do against this wild beast. But Alexander takes a different approach. He plays with the horse for a long time without even touching it, running around and in front of it, waving, laughing clapping and shouting, and all of a sudden, when the horse was least expecting it, with lightning speed mounts over it and whispers something into its ears. The young prince of Macedonia comes out of the arena triumphantly riding on the subdued horse. At the collective level, there is the outer form of culture made of its customs and tradition or rituals. But in its inner essence, culture is the expression of the unique intellectual, ethical and aesthetic genius of a community revealed in its religion, philosophy, art, literature. In brief true culture, individual or collective, leads to the refinement of our tastes and elevation of our consciousness from our lower self towards our higher nature made of our intellectual, ethical and aesthetic being and its higher faculties and values. When we look at forms of culture in the light of this true meaning of culture, is there any culture in the present form of Jallikkattu or its Spanish counterpart where a bull is killed with spears by two men riding on horses amidst frenzied shrieks of spectators? There are much more beautiful and magnificent creations in the true culture of Tamil Nadu, like for example the architectural and sculptural wonders in the temples of Tanjavur and Gangaikondasholapuram, beautiful Sangam poetry, and the well-known verses of Thirukkural, great epics like Shilappadikaram, Manimekalai and Kambaramayaram and above all, spiritual classics which flowed in three luminous streams; from Vaishnava mystics called as Alvars, Saivite saints, Nayanmars, and maverick yogis, Sidhas. When we come to our modern age, we have the inspiring poetic works of Subramanian Bharathi and Ramalinga Swamigal, a great yogi, expressing his spiritual experiences in mellifluous and rhythmic Tamil. It we cherish our culture, let us preserve and disseminate these uplifting creations in our culture. If we are attached to some specific forms of culture like Jallikkattu, let us make some creative effort to transform them into something beautiful and elevating, reflecting the spirit of true culture, for example, it could be a dance form where men and women, cows and bulls participate as partners and friends and the animals are treated with love, affection and dignity or else it could be a dramatized skit which presents the sports as a symbolic expression of our inner struggle and conquest over the animal impulses of our lower nature. Excellent way of describing, and nice post to take data regarding my presentation subject, which i am going to present in academy. Thank you for every other informative blog. The place else may just I am getting that kind of info written in such an ideal means? I have a challenge that I am just now running on, and I have been on the look out for such information. You’re so cool! I don’t believe I’ve truly read anything like that before. So good to discover somebody with a few unique thoughts on this issue. Seriously.. thanks for starting this up. This website is one thing that’s needed on the internet, someone with some originality! Aw, this was an incredibly good post. Spending some time and actual effort to produce a superb article… but what can I say… I hesitate a whole lot and never seem to get anything done. Hello everybody, here every person is sharing these know-how, thus it’s good to read this website, and I used to pay a quick visit this webpage all the time. Excellent post. I was checking constantly this blog and I’m impressed! Very helpful information specially the last part 🙂 I care for such information a lot. I was seeking this particular information for a long time. Thank you and good luck. Thanks , I have recently been searching for information approximately this topic for a long time and yours is the best I’ve found out so far. But, what in regards to the conclusion? Are you sure concerning the source? from Huffman Texas! Just wanted to say keep up the excellent work! I precisely wished to say thanks again. I do not know what I might have taken care of without the actual information shown by you over such a problem. It seemed to be the daunting situation for me, nevertheless seeing a specialised avenue you handled that forced me to cry for delight. Now i am happier for your guidance and hope you are aware of a great job you happen to be providing instructing the mediocre ones with the aid of your webblog. I am sure you have never come across any of us. 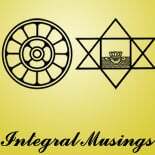 This entry was posted on May 4, 2017 by integralmusings in Society & Culture.